Description One of the larger species of fox is known as the Gray Fox. They get the name due to the various shades of gray coloring they feature. They also have black on their bodies and areas of white. The black is found all over the body while they white coloring is often limited to the face and the belly areas. Some of them have red colors that are close to the ears as well. 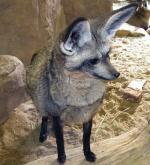 The Gray Fox has a very long tail with black color at the tip of it. They don’t have a bushy tail though like so many other species do. Full grown males weigh about 15 pounds with the smaller females about 10 pounds. The males are about 5 feet tall with the females averaging 3 feet in height. The Gray Fox has extremely sharp claws that do stay out all of the time. They use them for digging dens and getting to food sources that are under the ground. They also use them to capture their prey and to fight off any predators they may come into contact with. The Gray Fox has a body build for speed and they can move quickly for a long period of time. They are slender in build but extremely strong animals. 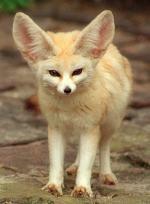 The ears of the Gray Fox are long and pointed. They are able to hear very well and they also feature great eyesight. Their sense of smell is great too so they use their combined senses in order to get out there and stay well protected. Their bodies blend in well to their surroundings so they are able to hide from predators at the same time. 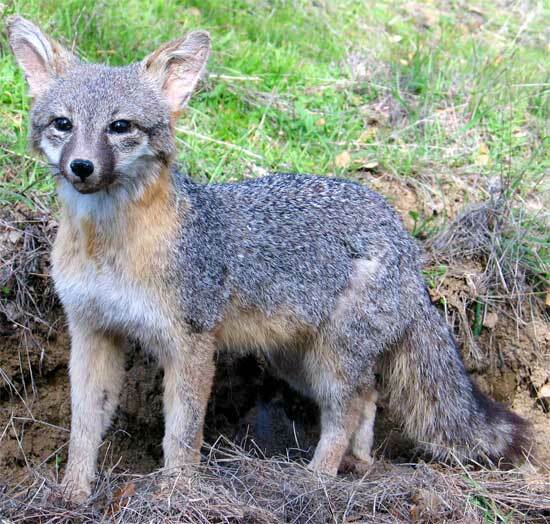 DNA testing reveals that the Gray Fox isn’t very closely related to other canines out there. 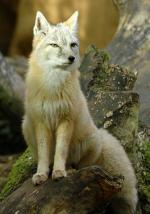 It is believed to be the oldest of all fox species in the world though. They are believed to be more than 10 million years old. However, there is still quite a bit of information we don’t understand about the evolution process for the Gray Fox. 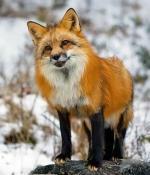 It isn’t known why they are so different in appearance and DNA than other species of fox. It is believed that they were once isolated to a particular area of the world and needed to have certain characteristics in place in order to survive. They are highly adaptable animals and that is why they have been able to survive through time. What often surprises people to learn about the Gray Fox is that they can climb trees. No other species of fox is able to do so. They often are seen climbing them at night but people think they are seeing a type of wild cat. Trees offer the Gray Fox a place to sleep, a place to be protected, and even a place to find sources of food. This type of fox also loves to swim which is why they are often found living by bodies of water. They also use the water to drive their prey into it and then they will have the upper hand. Since they can run more than 20 miles per hour with ease they won’t be tired when they get to the water but their prey will be. The Gray Fox is found in many locations around North America. The majority of them though live in Columbia, Canada, and Venezuela. In the United States they are found living everywhere except the open plains and in the Rocky Mountains. They may be hard to see though as they spend most of their time in the brush or the woodlands. They may be found in the open areas searching for food, but not when it comes to their shelter. Due to their versatility the Gray Fox has not trouble finding a variety of food in their natural habitat. They mainly feed on small animals including rabbits and rodents. During certain seasons they will take advantage of the nuts, berries, and fruit that grow in certain areas. They do enjoy those additions and will readily consume them any chance they get. In the summertime both crickets and grasshoppers are plentiful. The Gray Fox will consume plenty of them any given day in order to help with supplementing their diet. These fox have a huge appetite so they can spend many hours per night searching for and consuming food. This particular fox is very choosy when it comes to their mate. That is because the one they choose they will make with for life. They will only search out another mate if one of them dies. However, it will take several years before they give up the home of the other one returning. For the Gray Fox, the mating season significantly varies. It depends on where they happen to live and the climate there. To give the young the best chance of survival they are born during the warmer time of year. It takes about 53 days from conception until they young are born. The size of the litter can be from one to as many as seven. In the larger litters though there won’t be enough food for all of them. Only the strongest and the largest of the young will be able to survive. They will remain in the den with their mother until they are three months old. During this period of time the male will bring the female food so that she can make milk to feed the young. At about three months of age they emerge from the den and they are taught how to hunt on their own. Within a month they are out there on their own, leaving the parents to go find their own territory. At this point the mating pair will go their separate ways as well until the following year. The Gray Fox has a very long lifespan in the wild. They live an average of 16 years but that can increase to about 20 years in captivity. The young are ready to mate when they are about one year of age. There are some predators out there that the Gray Fox has to be concerned about. Most of the time it is the young that have left their parents and exploring their own territory that are the most vulnerable. The predators to be concerned with really depends on the location where the fox is found. The coyote is the most common one since they too can live in a variety of locations out there. Other predators include bobcats, Great Horned Owls, and the Golden Eagle. Many humans enjoy hunting the Gray Fox for sport. There are specific hunting seasons for them in many areas. This is because without such control measures in place the number of these animals could quickly get out of control. Then they would be fighting for food and territory among them. The chances of disease spreading across them would increase as well. Sometimes the Gray Fox is hunted to keep it away from animals that humans are raising. This becomes more and more common too due to the fact that humans continue to move into the territories where these animals were once able to move around freely. They aren’t going to pass up the opportunity to eat these types of food sources either.